"Get your home seen by millions of buyers we're here to sell your property"
When you instruct a traditional property/estate agent to sell your property you agree a commission rate which here in Spain is usually 5% - 8% which means on a €150,000 average priced property you will pay up to €12,000, quite a lot of money I am sure you will agree. The typical agent you instruct to promote your property will list your property on their own website and may, or may not, also list on one or two other property portals as they know that 93% of all property enquiries originate online. At emovespain we list your property on many more leading websites such as, "A Place in The Sun", "ThinkSpain" ,"Zoopla", "Prime location", "Kyero" etc as these are the ones that show highest on Google searches. Simply, the more people who see your property details online, the more enquiries you will receive. Also, emovespain list your property on websites, which are not available to individual sellers and only property agents are allowed access to. 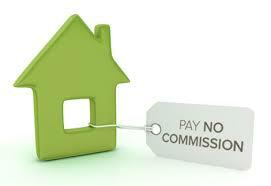 All this property promotion from emovespain for only €595 and no commission to pay on the sale. As you can see both ourselves and traditional property agents operate along similar lines although our online property advertising gets to a much wider audience of potential buyers. What would you rather pay €595 or €12,000? Viewings (depending on your locality) will be carried out by experienced property professionals who have all had a minimum of 10 years' experience in the Spanish property market. We can arrange English speaking legal people for your conveyancing and legal needs as well as help with most aspects of property maintenance and management.